Greenbuild LA is the first time that SageGlass will bring the “Hot or Not” concept to life in an effort to provide attendees with the opportunity to experience the benefits of our dynamic glass, first hand. 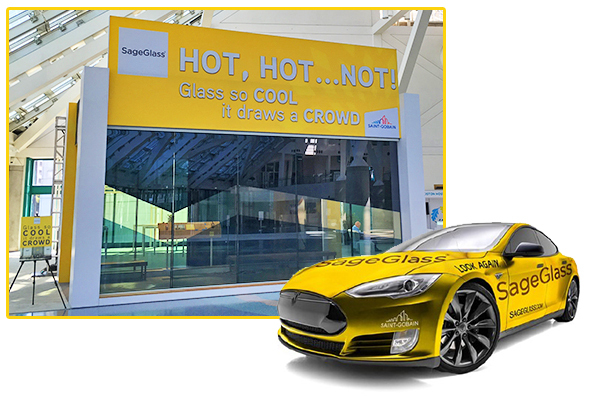 Also, when attendees stop by the SageGlass Cube, they can sign-up for a free ride in a Tesla to check out SageGlass’ recent installation at the premier restaurant atop the U.S. Bank Tower, 71Above, located just a few minutes from the Convention Center. With SageGlass, 71Above offers unobstructed 360-degree views of the entire city, day and night, without being impacted by the California sun. With all of these exciting activities, we can’t wait for Greenbuild this week!